Tokelau is a territory of New Zealand in the South Pacific Ocean. It consists of three tropical coral atolls with a combined land area of 10 km2 and a population of approximately 1,400. The atolls lie north of the Samoan Islands, east of Tuvalu, south of the Phoenix Islands, southwest of the more distant Line Islands (both island groups belong to Kiribati) and northwest of the Cook Islands. 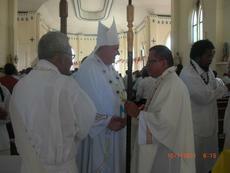 For the past nineteen years, the "sui iuris" Mission ofTokelau was administered by a diocesan priest from New Zealand, Msgr. Patrick Edward O’Connor. When he reached the age of seventy-five, he tendered his mandatory resignation as Ecclesiastical Superior. However, it took almost five years before the Apostolic Nuncio, Archbishop Charles Balvo, found a replacement. The isolation of the place is one big reason for some missionary congregations to decline the offer to take charge of Tokelau Mission. 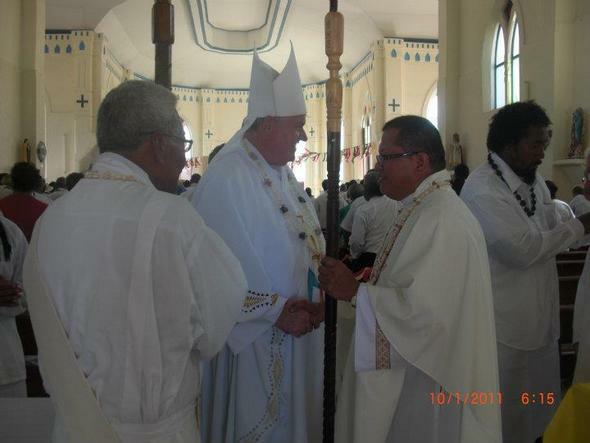 When the Nuncio learnt of MSP’s presence in the Pacific and Oceania, he asked the MSP General Council to handle this Mission in Tokelau, which is sui iuris. Archbishop Balvo explained that the priest who will be assigned here will be the Ecclesiastical Superior and will become a member of the Episcopal Conference of the Pacific. He will join the bishops in the Ad Limina visits in Rome every five years to give his periodic report.